HomeWeb DevelopmentRuby on Rails: Is it the perfect choice for Web Development? Cloud Computing: What Platform as a Service Model Can Bring to your table? 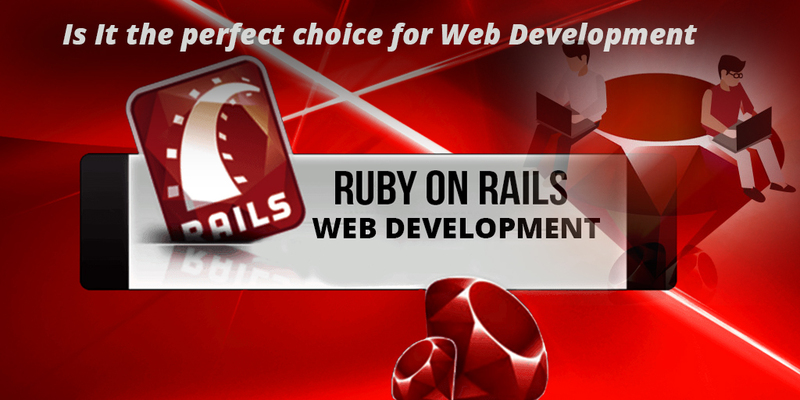 Ruby on Rails: Is it the perfect choice for Web Development? Ruby on Rails is a hot trend and buzzword going around the web development field these days. But does all this buzz and talk about the Ruby on Rails is based on some concrete base or is it just a tide which will merge into the ocean as the time passes by? What is it about Ruby on Rails framework which makes it a preferred choice for the building websites and web applications? Read out to know the benefits of using this framework for website and web app development and what actually set this platform apart from its competitors. It’s not perfect, it fits like a glove. It is an ideal technology for building web related products. The greatest thing about this platform is that you can have the prototype up and running in a matter of minutes which made it easier to check the feasibility of the project. The other benefit is that any cracks in the scope of the project or direction of development can be fixed early in the development cycle itself. This advantage or feature whatever you want to call it; nobody can disagree with. The framework is free and runs on Linux, Windows and Mac. Being free means you can save chunks of money on the project. From developer’s perspective it is not only easy but also interesting to work with the framework. Technologies like ASP and windows can be the hard wired requirement for some or many projects but at times they can prove to be very expensive. Ruby on rails is a technology which not only helps in saving the money but also helps in saving significant amount of time. It has the ability to turn lazy developers into code monkeys. It allows developers to move from planning to development and from development to deployment very quickly and all this migration is unbelievably simple to handle. It turns out that most successful web applications are open source by their very core. Content management system like Drupal and WordPress are open source and their vast community allows them to rise and flourish and same is the case with Ruby on Rails. The rails community is constantly developing and improving the framework and at the same time is providing the help to the developers with their projects. If you need functionality, chances are that someone has already developed something similar. You can ask the community and they will help you with the issue. You have a solid project built on the framework but after some years let say you decided to add some functionality or remove a certain one. The problem is developers which made the project have all left the company and no one knows about the code. No need to panic because Ruby on Rails is an organized framework and follows coding conventions which are easy to understand when the project is passed from one developer to another. Not only are these companies different but each company offers complex functionality which is specific to its own site. Now you know the power of the framework. The technology is not only ideal for big companies but is also a perfect choice for small businesses and startups. Ruby on Rails allows you to break the standards of the template solution without damaging your bottom line.